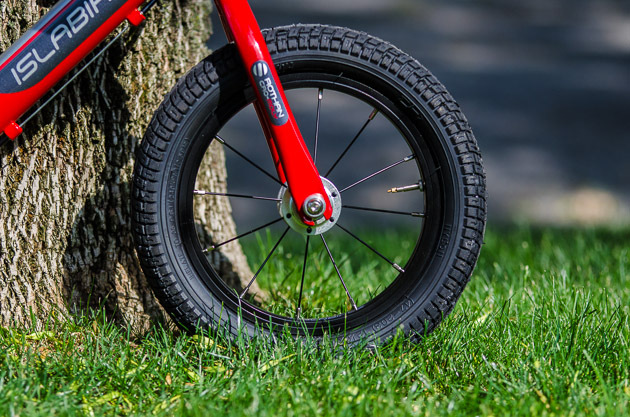 Meet Islabikes Rothan, a stunning example of attention to detail in a bike targeted at people who are barely old enough to walk and can only sort of talk. 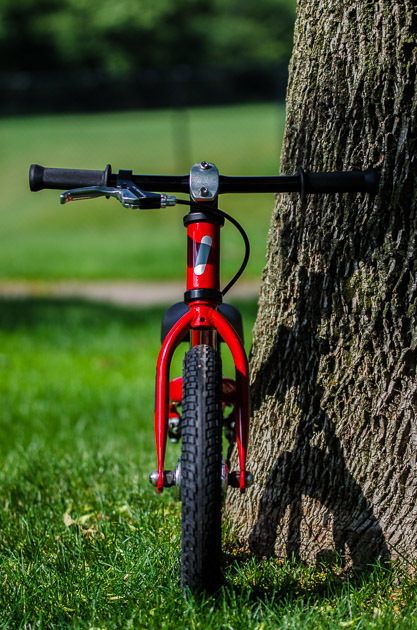 Islabikes is the brainchild of Isla Rowntree, a British cyclist and designer who decided to ensure the sport’s future by producing high-quality, well-fitting kids bikes. 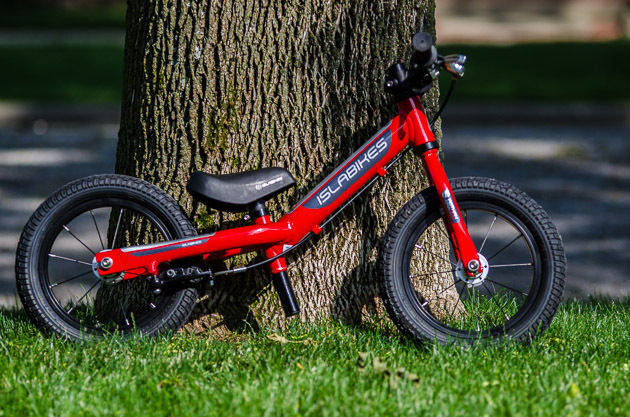 A U.K.-based company, Islabikes are now available here in the U-S-of-A. Based largely on the fact that balance bikes weren’t around when I was a wee lad, and combined with the fact that my own wee lad is about ready to embark on his own bicycling experience—wherever that may lead—I have spent a fair amount of time studying and critiquing these pedal-free two-wheelers. 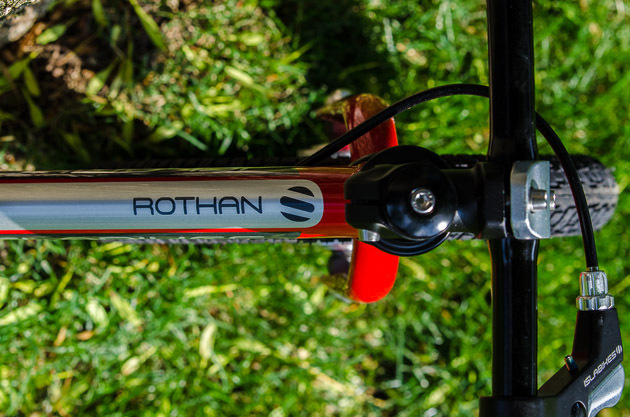 Make no mistake about it, they’re all pretty cool in one way or another—all of them offering little ones a better and quicker entry into the world of bikes—but this Rothan is quite the bitchin little number. I can’t speak to the Rothan’s performance, because my 18-month-old dude is only skilled enough for about 4-5 steps at this point in time, and his vocabulary exists of just about half as many words, but the stuff that this dad sees on the bike are pretty impressive. At a claimed 7.7 pounds it feels lighter than others I’ve hoisted, but that’s as deep as I’ll dig on the subject of grams—he’s much too young to become an insufferable weight weenie. Nifty little bits include small-diameter handlebars and grips and a micro-reach brake lever to match tiny hands, and a narrow top-tube/downtube seems like a smart thing to have if you’re only 3 feet tall. From a more aesthetic point of view, I appreciate the proper-looking stem, low-profile axle bolts that are recessed in rounded caps and the race-ready radial-laced wheels. And the icing on the cake is Islabikes’ use of presta valves as opposed to the positively uncivilized Schrader variety. Proper.